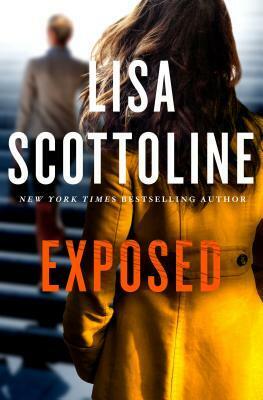 EXPOSED: A ROSATO & DINUNZIO NOVEL by LISA SCOTTOLINE – Books, Books and More Books! SOMETIMES LOYALTY CAN BE LETHAL. Mary and Bennie are back in the 5th Rosato & DiNunzio adventures. Mary and Bennie are now partners and still trying to fit into their new roles when Simon comes to Mary with a problem that could impact his small daughter who needs a bone marrow transplant soon. Of course Mary isn’t going to say no to family and everyone in South Philly is family to Mary. But can she destroy her partnership and friendship with Bennie in order to defend Simon? I love this series. These two have an odd friendship but in this book, the two main characters undergo some pretty big changes and I like the direction they are going. Obviously I’m not giving anything away, but the way Lisa creates her characters makes them so real that you can’t help but cheer for them and feel like you too, are a part of the familia! Great read as always! Thanks Netgalley and St. Martin’s Press. The book comes out on the 15th of August! does this series get into the legal battles as well as the relational drama? It does. It asks quite a few ethical and legal questions that I wasn’t aware of.